Like any weapon system, the AR is made of several systems, each consisting of several components working in conjunction to fulfill the system's assigned tasks. There is a balance within each system, altering one or several, without consideration of how this may affect the other components within and the system overall, is a typical sign of lack of attention to detail. It's an easy trap to fall into, the "if big is good, then bigger is better" mentality is flawed in concept and in practice almost everywhere it's applied, but we'll limit the scope to a simple AR system component, the magazine release button. The AR's magazine release button is well placed and protected by its fence, most users don't have difficulties accessing it. For those with small hands or short fingers may find the release too far to reach, but for most users, the trigger finger has to be curled to reach it (it's too close to use a fully extended finger). The myriad of extended magazine releases seem address this issue for those that can't reach it, at the expense of some serious drawbacks. The cantilevered and oversized levers invariably protrude over the magazine release's protective fence and render it useless, the tall levers are now far more snag prone, and have a greater chance of accidental/unintended magazine drop. 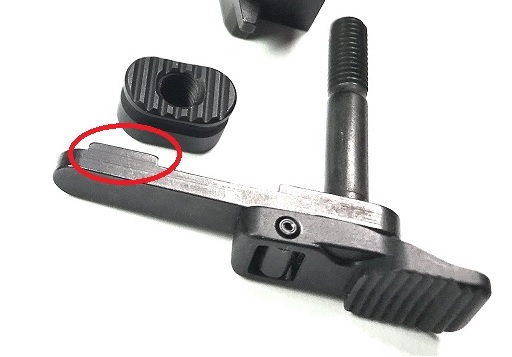 To make matters worse, for most users, the placement of the lever is too close to the hand, defeating the AR's original superb magazine release placement. The magazine release fence was added soon after the AR15/M16 went into service. The fence is a simple device that mitigates accidental or unintentional magazine drops. The important part most 3rd party designers never seem to pay attention to is the magazine catch's travel before the magazine is dropped. 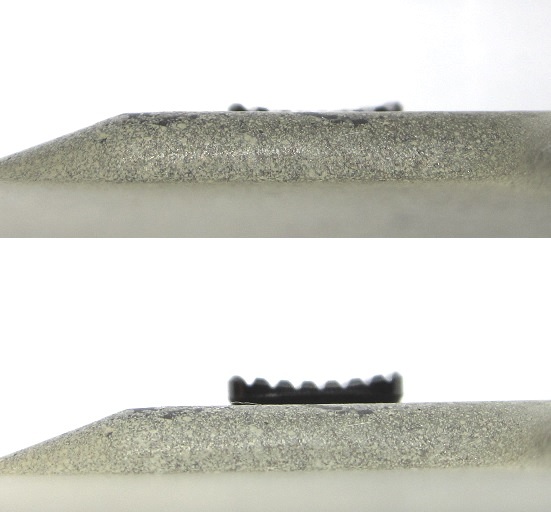 The magazine catch's plate has a "ramp" that engages the magazine's mag catch cutout, the TDP height of that ramp is 0.05 in height. An in spec magazine catch therefor needs only travel 0.06 or above to drop a magazine. If the magazine release protrudes over the fence by 0.06, the fence is now rendered useless. For this reason, we have warning language in the EMR-C product page to warn against its use on a 223 receiver, and moved it to the 308 AR section to dissuade its use on a 223 receiver. EMR-C's taller installed height is 0.08, well above the magazine release fence, it's best on a thicker 308 receiver. Most extended magazine releases will protrude over the fence by more than 0.12. Lastly, there's the issue of parts count and added complexity. 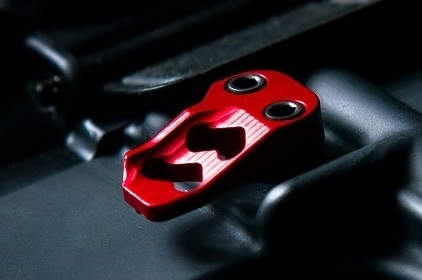 A once simple, single piece magazine release button now has 3 or 4 times its original parts count, it's always something to avoid for the sake of reliability, unless the benefits outweigh the 300 to 400% increase in parts count. While we don't believe extended magazine releases are a solution in search of a problem, as they clearly serve those that have difficulties reaching a factory magazine release button, given their flaws in exchange for that accessibility, their installation and use should warrant a closer examination if you are not the target audience to which their benefits are applicable. When designing a component that's meant to be an improvement of a factory part, attention to detail is of upmost importance, for we can't add or remove weight, or change dimensions without considering subsequent impacts. Unintended consequences aren't easier to cope with regardless of good intentions.